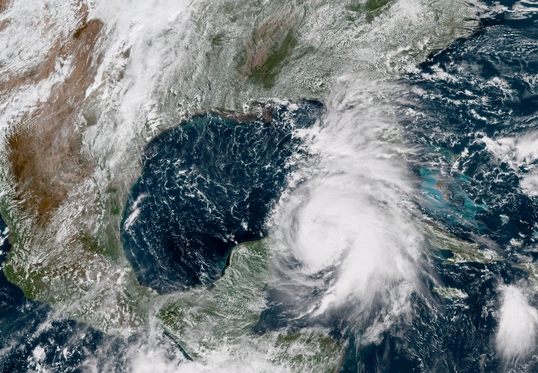 How Strong will Hurricane Michael Become? A hurricane is currently approaching the Gulf Coast. Intensifying quickly over the weekend, Michael is now a Cat 1 with maximum winds of 75 mph. Further strengthening is expected before landfall. Michael continues to intensify while tracking northward. Environmental conditions are becoming increasingly favorable for additional strengthening. Current indications are that Michael is likely to become a major hurricane (Cat 3 or higher) late Tuesday into Wednesday as it continues northward. 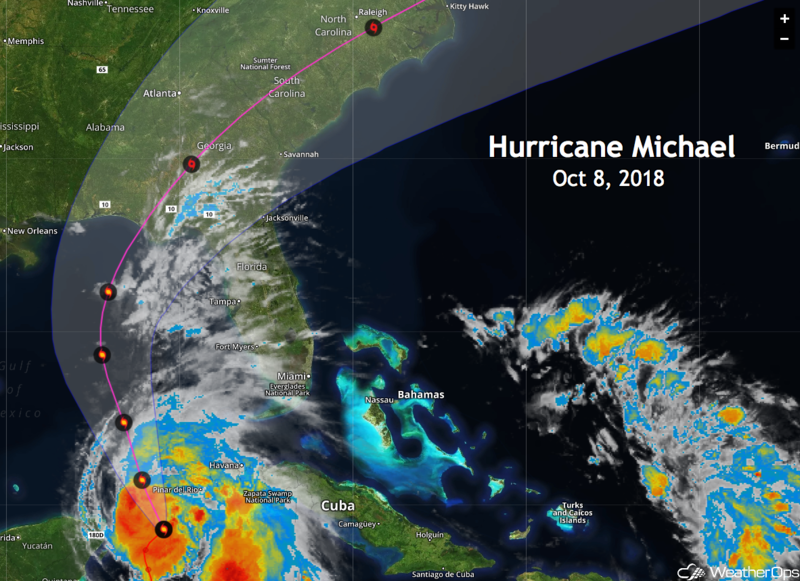 WeatherOps expects Hurricane Michael to continue on a northerly path towards the Florida Panhandle over the next 48 to 72 hours. 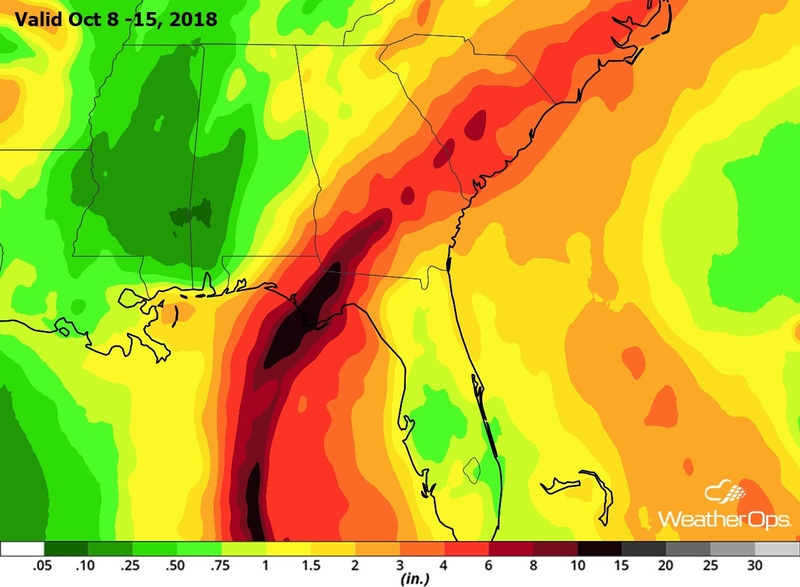 Landfall is currently forecast between Pensacola and Florida’s Big Bend and may occur between midday Wednesday and Thursday morning. Seas will continue to build across the Gulf of Mexico through Thursday. 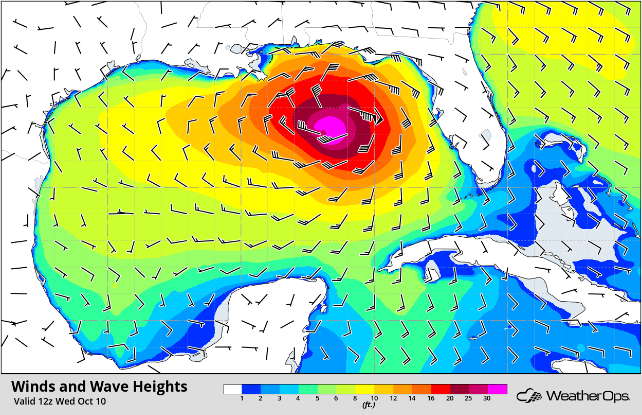 By Wednesday, seas over the western section are projected to reach 7 to 10 feet, with the central Gulf experiencing 14 to 20 feet and 20 to 40+ feet for the eastern Gulf of Mexico. Assets in this area need to be aware of the impacts from high seas. Extreme life-threatening coastal storm surge, severe winds, and rain amounts of more than 5-10 inches are likely. The highest storms surge values will be near, and immediately east of where the center makes landfall. Rain from this system is also expected to affect the Carolinas. Expecting widespread power outages and additional weather threats, some locations are already taking action. Lines are forming at gas stations along the panhandle. And Florida State University has already canceled classes due to the forecast. Students who do not evacuate are being asked to shelter in place during the hurricane. FLORIDA STATE UNIVERSITY TO CLOSE TUESDAY THROUGH FRIDAY. Conditions are likely to deteriorate along the Gulf Coast beginning Wednesday morning. It is essential to pay attention to the latest forecasts as changes in speed and direction may happen over the next couple of days. Those living along the Florida Panhandle should begin to make preparations for this hurricane.